Time Management Activities to gain +62 minutes per day. The WorkingSm@rt® using Microsoft Outlook Workshop, involves time management activivites. They have been developed to empower you to take control of your work. 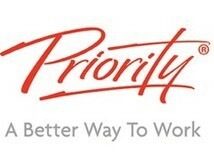 With help of the Priority® method & time management activities, you learn how to change behaviors and optimize the use of technology to take control of your time, productivity, collaboration and work results. You will gain a deeper understanding of what’s available in the Outlook “toolbox” and set up the main components to enable you to work smart with enhanced focus. Learn how to increase your productivity and eliminate unhelpful habits. We will show you how to manage your emails. You will learn ways to manage emails you can’t act on immediately and learn how to deal with low priority emails. We will show you effective ways to file and find your mail and stay with your priorities regardless of the volume of email traffic. So you get the best out of your Working Sm@rt training and change your life. IT COMES FROM RELIABLE STATISTICS !